Imagine what you might expect an indie band from Brooklyn to sound like. Now reverse it. 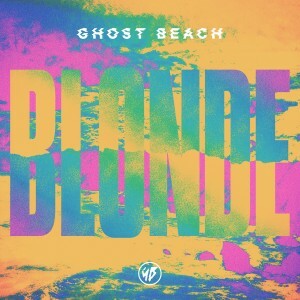 That’s the gist of electronic pop duo Ghost Beach, whose debut LP Blonde gleams with more polish than a windexed Rolls Royce. It’s doubtful that anyone has ever produced an ’80s-influenced record this supersaccharine — so points for making Bruno Mars sound like Tom Waits in comparison. But Ghost Beach’s glitches and wobbles do little more than distract from their predictable songwriting and, by album’s end, overload their explosive choruses to the point of exhaustion. Singer Josh Ocean spends much of Blonde imitating M83’s Anthony Gonzalez, though his grittier delivery sounds strained during those anthemic highs. Eric Mendelsohn, meanwhile, brings together some pretty catchy elements — the fabulous guitar lead on “Miracle,” for starters — but even that gets pancaked out of nowhere by a synth wrecking ball. Tracks like “Close Enough” manage to channel a dark, clubby vibe that briefly lets off the gas. Give it about 40 seconds, though, and that mystique all but vanishes, sideswiped by those same sparkling chunks of concentrated pop. I can’t wait to put on some James Taylor and decompress.